These are the long, hot dog days of summer when I avoid being outside at all costs, but if I need to be three things are must haves: sunblock, lightweight clothing, and a hat. I’ve always been a hat girl and since I’m growing my hair out, I’m thrilled that I can now put it in a ponytail, (albeit a tiny one!) which means I can wear a baseball cap without looking like a boy. Yay me! 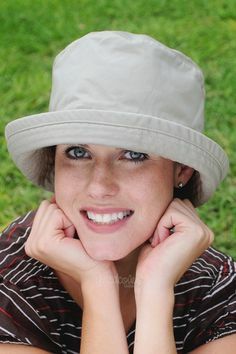 Baseball caps are all fine and good when playing golf, boating, or some other sporty activity, but for women ixnay on the ballcapays unless you just have bad hair and are out running a few quick errands. With so many styles of fun and fashionable hats out there, why settle for something a boy can also wear? 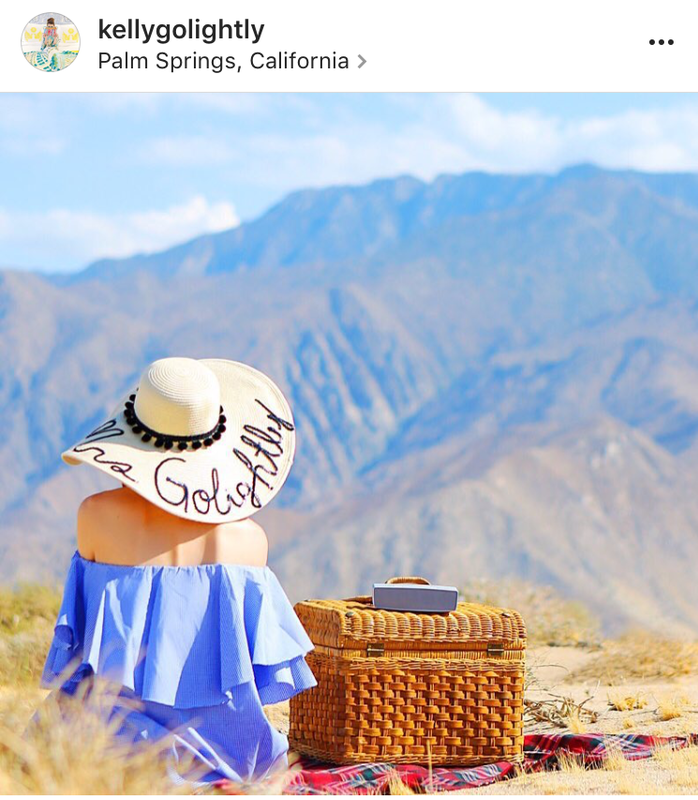 One of my favorite bloggers and fashionistas, Holly Golightly, is big on hats and can pull them off like nobody’s business. Holly lives in Palm Springs and who knows heat better than those in Palm Springs? Hers was the first Eugenia Kim embroidered hat I saw and, although I don’t live the lifestyle that could pull one off, I find them so festive and fun. Kim is the current milliner of choice to the stars and recently spoke to Marie Claire magazine about how to pick that perfect hat. It was a fascinating discussion on way more than just fascinators! “It’s all about proportion and finding that sweet spot that brings harmony to the face,” she explained. “If your face is small, don’t overpower yourself with too wide of a brim. If your face is large, look for styles with more width.” In short, size does matter! 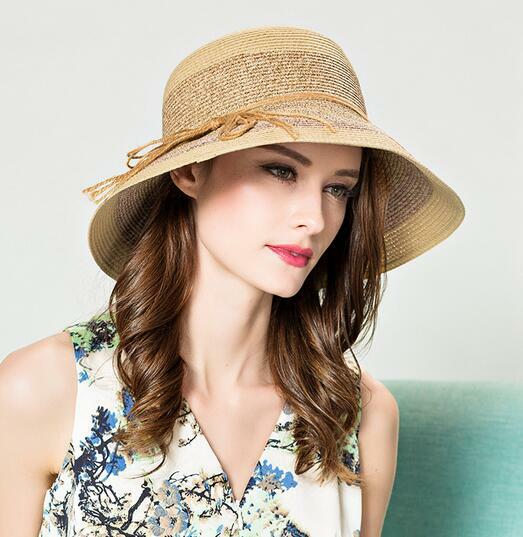 It should go without saying that if you’re sporting a chic hat, leave the bright prints and statement jewelry at home. 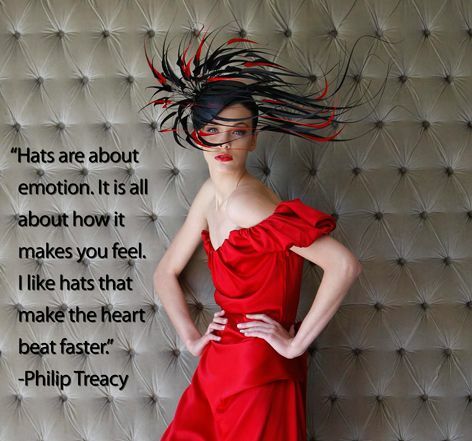 Hats alone make a big statement so let them do the talking. 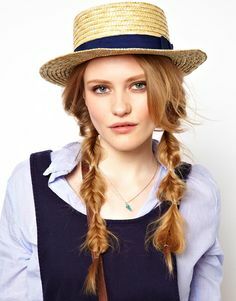 Other rules instruct that a hat should sit comfortably on your forehead, your bangs should be pulled back, and as a woman you don’t need to remove your hat indoors unless it obstructs people behind you. Also, do your best to match your sunglass style to the feel of your hat. Aviators probably shouldn’t be worn with a formal topper while “look at me, look at me” sunnies look just silly with a ball cap. 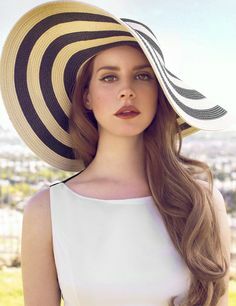 I personally I love a bold lip on a woman who can pull off the perfect hat look as well as any hat coupled with a low pony. Sleek and sophisticated. So what kind of hat can you stylishly pull off? It all depends on your face shape and then finding one that both suits you personally and fits your lifestyle. And what if you’re not sure what shape your face is? The above should help you out. 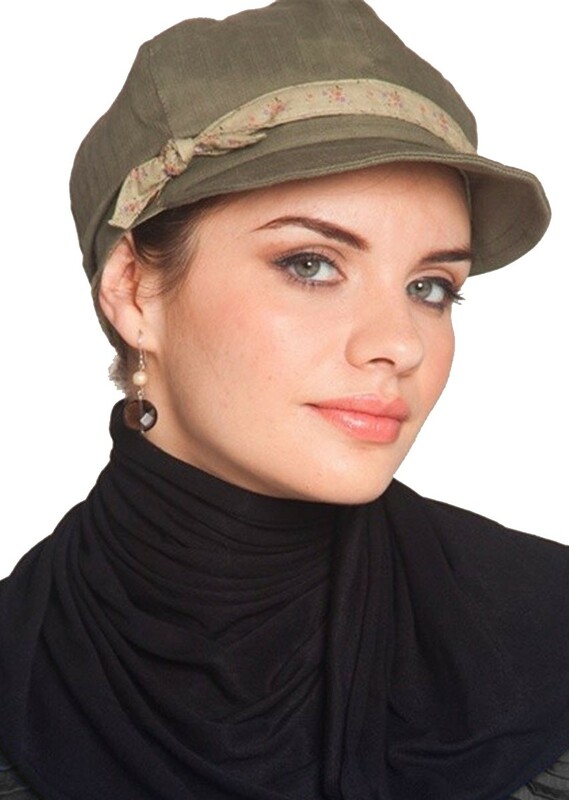 Oval faces have it made, as they can pull off almost any style of hat, including trendy and cool fisherman and boater style caps. Options are virtually limitless for you so your selection can be based solely on personal choice. If you have a round face you want to avoid anything low to the head or rounded and look for something that has sharp lines and a tall crown. To add a more balanced proportion to your face, choose a hat with an asymmetrical brim or wear the brim slightly slanted. Your goal is to create length and a newsboy or long-rimmed fedora can help you reach that goal. Think more Indiana Jones and less Indiana basketball. On the opposite end of the face shape spectrum are those of you with oblong or long faces. 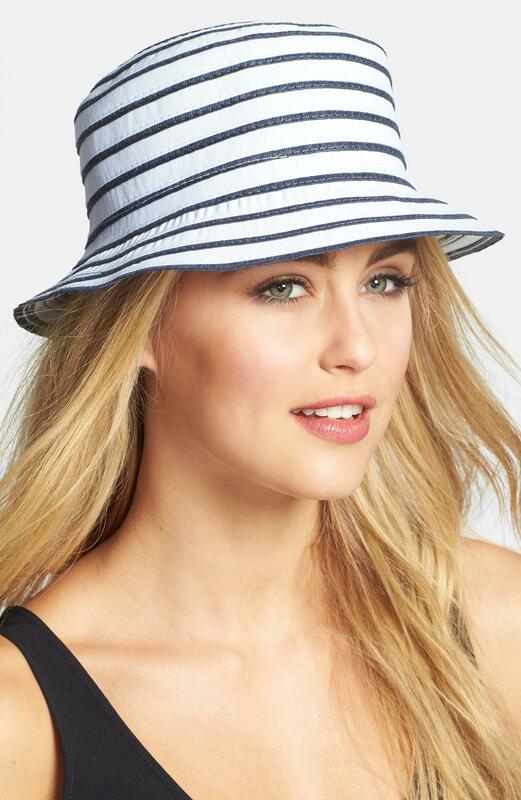 Styles that work for you and help add width to your face and shorten your crown are cloches, crushers, or bucket style hats. Hats with wide brims that can be turned down are also winners. Losers are hats that are tall or sit high on your crown. Long-shaped faces should favor crowns deep enough to cover your forehead. 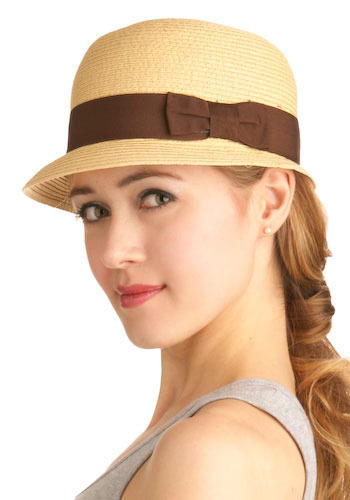 Square faces need a hat that will soften their hard angles and prominent jawlines. 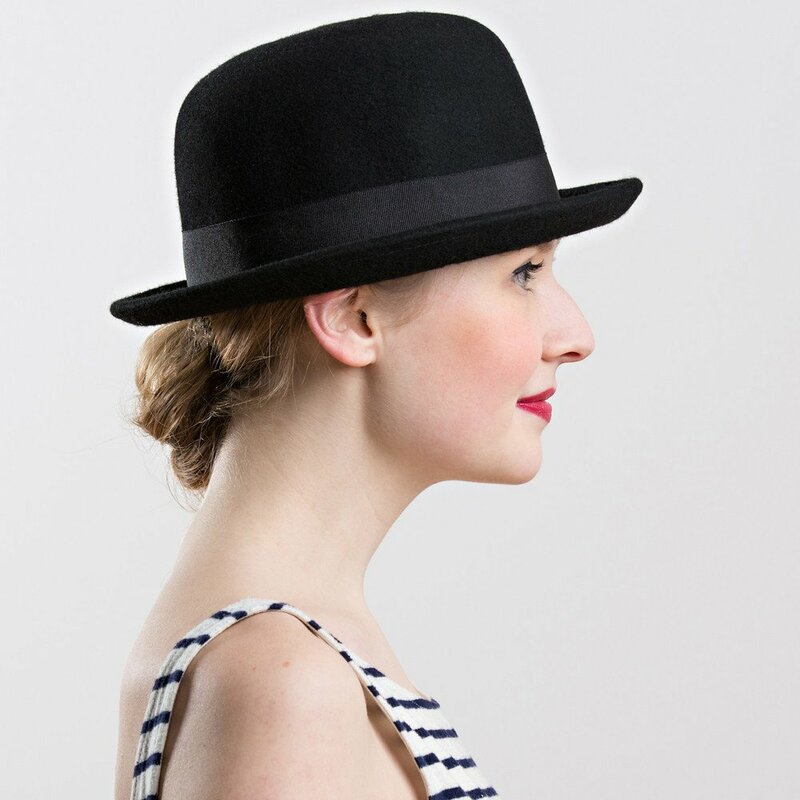 Think curvy like floppy hats, cloches, bowler hats, and even beanies to help round out the crisp lines of your features. Last but not least, heart shaped beauties have a love/hate relationship with their large foreheads so look for toppers that make it look more narrow. 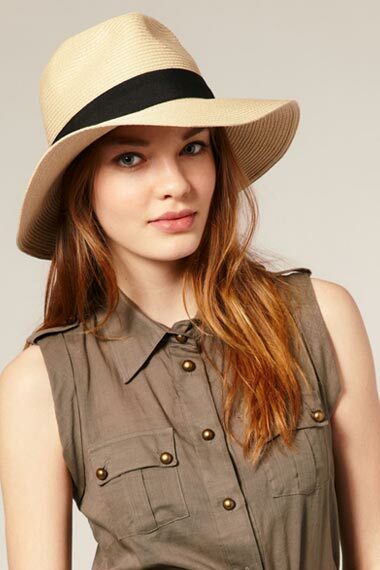 A brimmed hat of almost any style will accomplish this, especially one with a medium-sized brim. 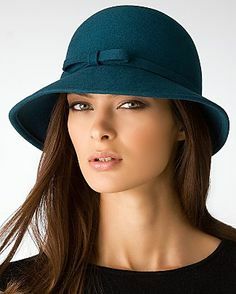 Cloches and Pillbox hats also work well. Like I said earlier, I love hats and shopping for them can be so much fun. 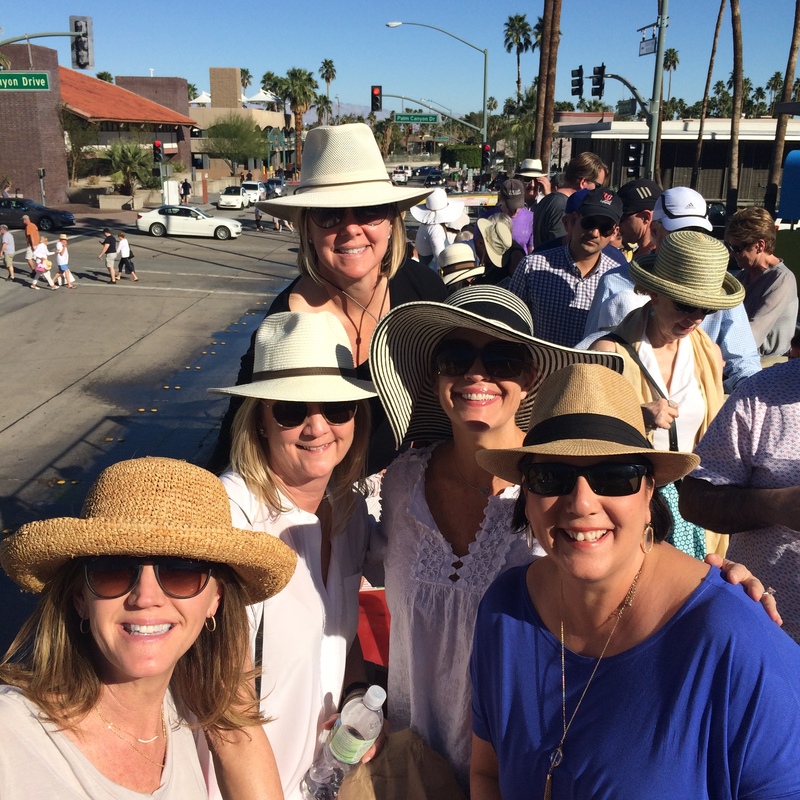 On my recent college girls trip to Palm Springs we visited a hat store and had a blast picking out one for each of us. Did we make the right choices based on our face shapes? Who knows. Maybe we should have just all gotten a crown. Ever heard of the Ecuador Hat? 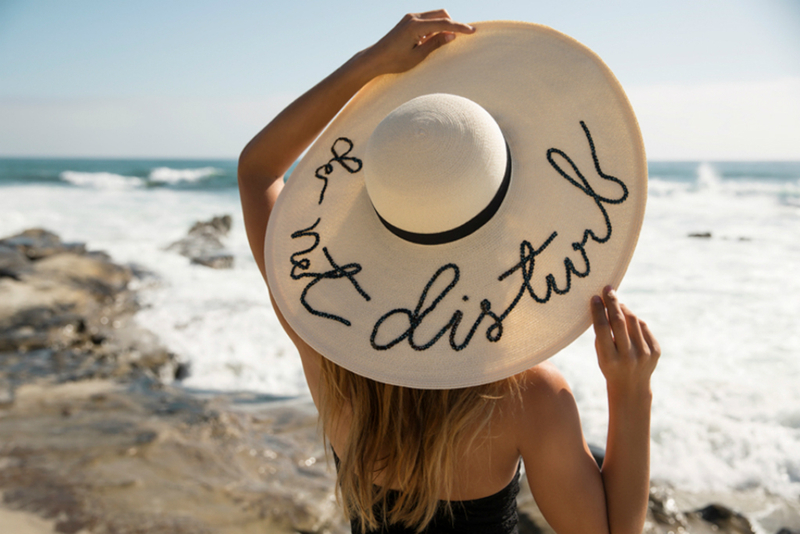 If you’re looking for that “one size fits all” hat, Kim suggests the Panama hat, calling it universally flattering and in essence the “LBD of the hat world.” It may be perfection, but it’s not Panamanian. 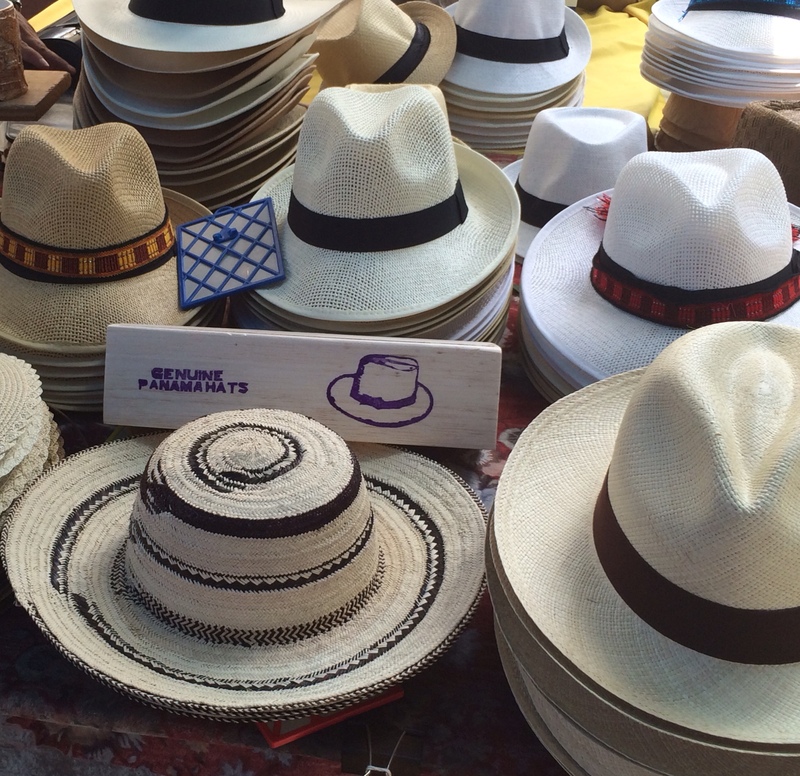 On a recent trip to Panama I learned that the iconic “Panama Hat” is actually made in Ecuador and is that South American country’s most iconic souvenir. So how did hats that have been made in Ecuador for centuries become “Panama hats? Theories abound but most center around the fact that Panama’s position as a trade and transport region as early as the mid-1850s resulted in Ecuador exporting its hats to Panama to sell from there. Without today’s technology of labeling where a product is made, people assumed the hats were made in Panama since that is where they were purchased. In addition, travelling by boat through Panama proved a shorter and easier route to search for west coast gold for many east coast Americans who, along the way, bought straw hats in the Central American country to protect them from the sun. They quickly became “Panama hats.” Years later while the Panama Canal was being built, many of the construction workers building it wore the hats because they were lightweight and breathable in the hot and humid Panama weather. 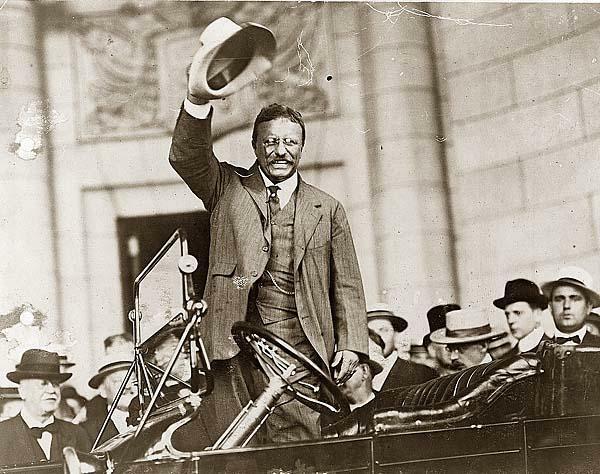 But, perhaps the hat’s most celebrated moment came when President Theodore Roosevelt was photographed wearing one while visiting the Canal in 1906. From that point on, “Panama Hat” is the name that stuck. Teddy probably didn’t know it, but more than a bear is named after him. I can’t decide if I have a long or round face. I would usually say long, with prominent chin, but since I’ve gained weight, it looks rounder. What do you think? I love hats with long brims, but are not fitted close to my head.